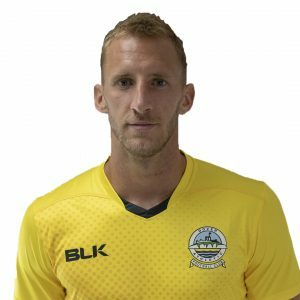 Ryan Bird’s first goal of the season helped Whites bounce back from their Tuesday night loss with a 1-0 win on a sunny Saturday afternoon at Crabble. The striker struck home Kane Richards’ unselfish lay-off on 19 minutes as Athletic made it seven games unbeaten, including four victories, against their Welsh counterparts. Mitch Walker had to be at his best to stop the visitors going ahead early on. 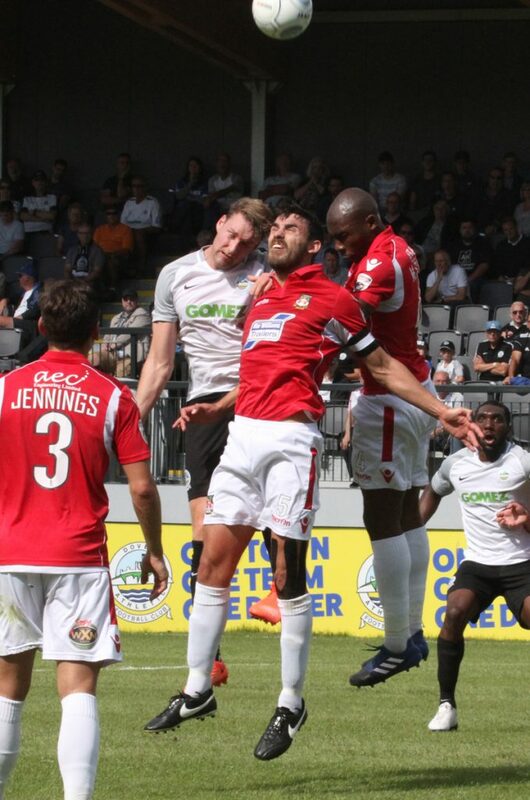 The Dover stopper bravely blocking Mark Carrington’s close range effort after Manny Parry’s attempted clearance landed in his path. But Bird put the home side in front and the forward almost had a second via his head, but he directed Femi Ilesanmi’s cross over the bar. Nortei Nortey almost stunned his former side with a 25-yard shot with Chris Dunn at full stretch to tip his effort away. The travelling fans had to wait until the half-hour mark to see their side’s next goal attempt. 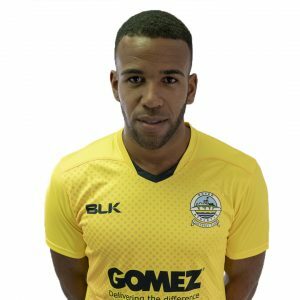 Sam Wedgbury caught the Dover defence unawares and his thumping header from James Jennings’ cross flew the wrong side of the post. Walker got down smartly to cling onto Jack Mackreth’s low effort after the break and at the other end Jamie Allen was denied by Wedgbury’s goalline clearance. Athletic’s keeper also had to be alert to grab onto Sub Ntumba Massanka’s low cross. Ilesanmi could not match his driving run with a finish as he drove an effort narrowly off-target. Substitute Kadell Daniel almost sealed the win late on, but his glorious curling strike fizzed just wide of the far post. The away side almost stole an unlikely point at the death, but Shaun Pearson could only direct his header wide with the goal gaping. The win sees Dover move up the table four places to sixth. Earlier, manager Chris Kinnear named an unchanged line-up to the team that started on Tuesday night. George Essuman replaced Chris Barnard on the bench. Whites next face a trip to FC Halifax Town on Tuesday 15th August. Kick off 7:45pm. Dover: Walker, Gallifuoco, Essam, Parry, Passley, Brundle(c), Nortey, Ilesanmi, Allen, Bird (Sho-Silva 89), Richards (Daniel 90). Subs not used: Pinnock, Essuman, Adebowale. Wrexham: Dunn, Roberts, Pearson(c), Smith, Jennings, Carrington(Rutherford 59), Wedgbury, Wright, Kelly (Hurst 79), Mackreth, Boden (Massanka 66). Yellows: Ilesanmi, Richards (Dover). Wedgbury, Pearson (Wrexham).